We’ve had psychology courses on our site for a long time, much to the chagrin of sociology partisans, but the latter got a seat at the table back in January when we introduced SOC101 to everyone. 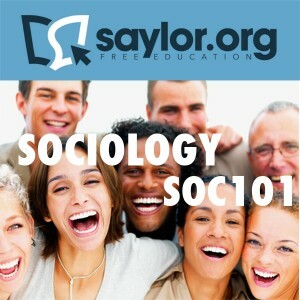 Today, SOC101: Introduction to Sociology arrives on our iTunes U channel. Not on iOS? No worries! You can still learn the art of empirical observation with the original Saylor version!